You will be more than welcome at the club so please call 01223 357106 or e-mail: pros@curtc.net to contact us and speak to one of the pros. 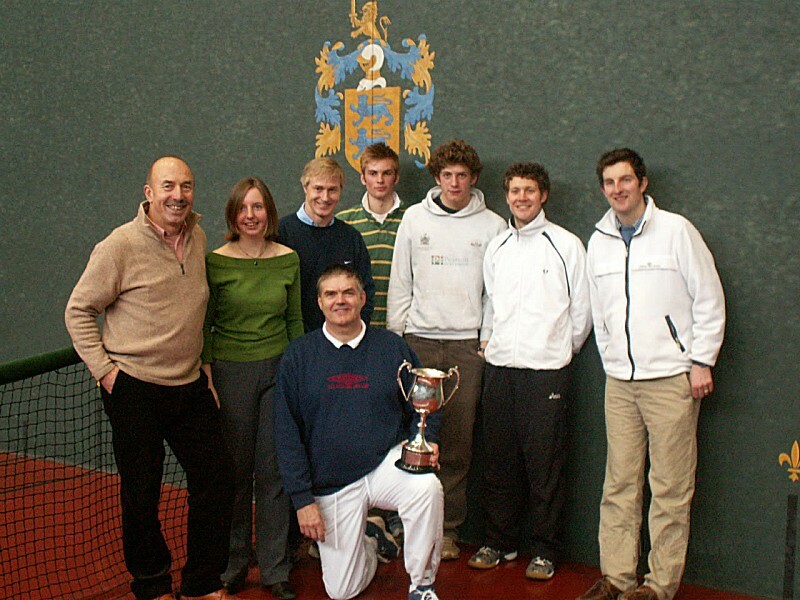 Membership of the Cambridge University Real Tennis Club is open to all: men, women, young and old, schoolchildren, students, locals, visitors (town or gown) and not just to members of the university (although junior members of the university do get a reduced rate). We welcome guests and our courts are among the best in the country with two well lit and well maintained courts. Our club is a friendly place presided over by our Senior Professional, Kees Ludekens. We are also very fortunate to have the services of Assistant Professionals Peter Paterson and Scott Blaber. The game is undergoing an enormous revival with new courts being planned and built around the country. 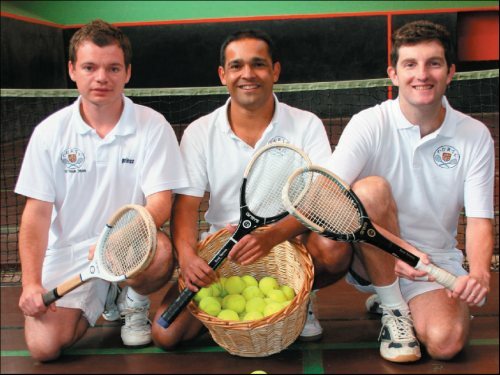 Our club has recently undergone a large development programme which has provided us with a new court, a club room and a new pros room. If you would like to know more about the game or the history of the club please use the menu bar above. 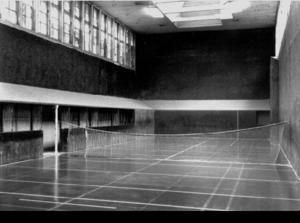 Also in 1933 the walls and floor of the older court were painted white and orange balls were used in an attempt to improve visibility. The original colour was restored in 1960. Only six professionals have been in charge during more than a century:- John Phillips (1866-1882), Jim Harradine (1882-1909) and Arthur Twinn (1909-1921). In recent times Brian Church took over from Bill Tutt (1945-1958) and was responsible for training many of today’s professionals, including Chris Bray (Petworth) who rose to second in the world rankings and Barry Toates (Melbourne) who was a challenger for the world title in 1981. Howard Angus was a great amateur who also learnt the game under Brian at Cambridge. Howard was world champion 1976-1981; the only amateur to have won the world titles at both Tennis and rackets. Since Brian Church retired, Kees Ludekens has become the head professional. His enthusiasm and encouragement have increased the court bookings significantly. 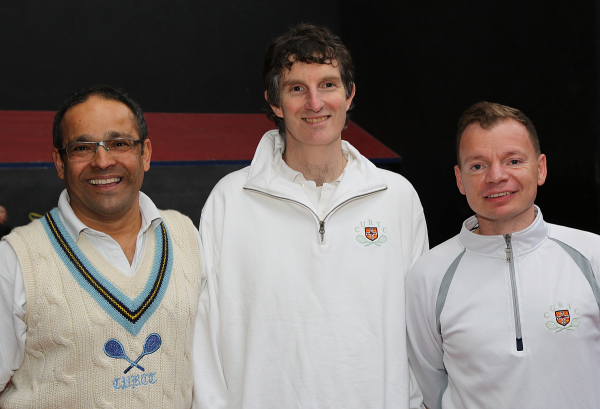 He is ably assisted by Peter Paterson and Scott Blaber, with the backing of a Club committee. Our professionals are well known and widely respected within the Real Tennis community. We have a combination of dynamism, dependability and imagination which has helped bring CURTC forward as a progressive organisation. Our professionals can provide lessons from introduction classes through the whole range to highly technical techniques on a one-to-one basis, complete with a DVD video to take home for further study if you wish. Our pro shop is well stocked with racquets and sportswear and our pros can restring, retape or repair racquets, often while you wait. Sports massages are also available on site. If you want to learn more about our three pros, please click below. In August 2017, Scott (sadly) left us to take up the Head Pro position at Jesmond Dene. But we have left the link above telling you a bit more about Scott! I was browsing rto when I noticed you made a tiny mistake putting in the results of the tournament. I played the eighth and quarter final with Huub van Boeckel and rto says my dad Theo did. Anyway thanks for marking all the matches and doing a wonderful job. Hope to come back to Cambridge soon! PS. The email address on the Site doesn’t seem to work.